PR for female entrepreneurs and women in business. KLPR Women, a division of KLPR, is a specialist PR and reputation management consultancy for female entrepreneurs and women in business. Our team have over 25 years experience in PR, in building businesses and shaping brands, which means we have the knowledge to ensure your brand of personal PR message gets noticed, and, above all… talked about. We position our clients as thought leaders and we work within a range of sectors including marketing/advertising, lifestyle, retail, training, digital media, publishing, broadcast and technology. KLPR Women is based in West London and we operate throughout Europe and North America. 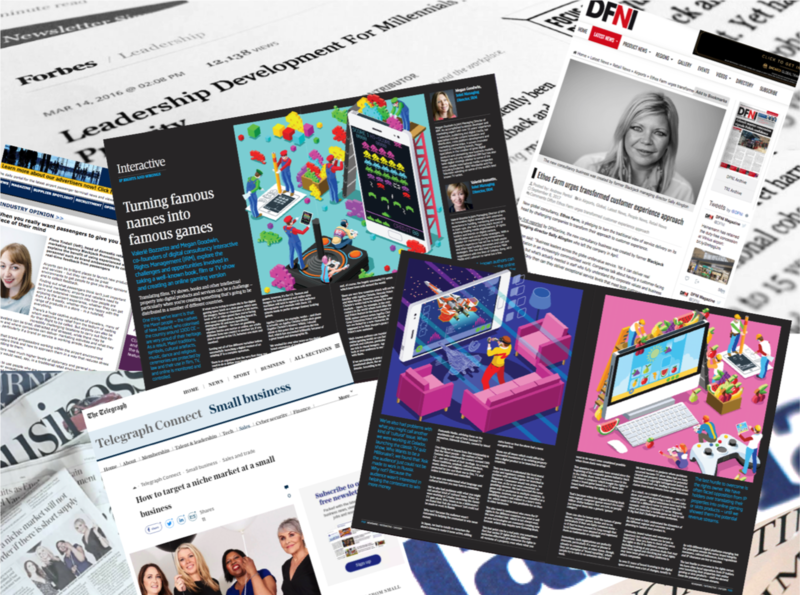 Our team are all from journalism, publishing and business backgrounds, so not only do we understand your business objectives, we write well, we understand how journalists think… and we’re full of ideas. We position our clients as thought leaders within their sector. Deconstructing your brand DNA to ensure you’re perfectly positioned. Creating a recognisable and unique identity for you and your business. Our creative team work with you to produce explainer videos and filmed interviews. Our talented photographers capture the essence of you & your brand in stunning imagery. Our team of writers and journalists craft content for people and optimise for google. Our digital team build engaged followings and manage your social media strategy. Our digital team build award-winning websites that work hard for you and your business.